In collaboration with Tonkin Zulaikha Greer Architects in Sydney and Paul Rolfe Architects in Wellington, MNLA won the international design competition to develop a memorial to the ANZAC alliance and the enduring relationship between New Zealand and Australia. 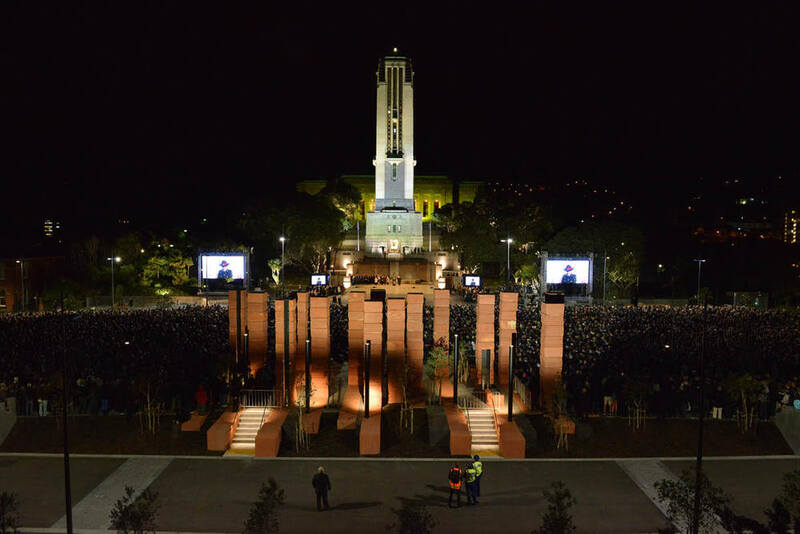 The memorial is located opposite the National War Memorial in Wellington's Pukeahu National War Memorial Park designed by Wraight + Athfields and was completed in March 2015 ahead of the ANZAC centenary commemorations. 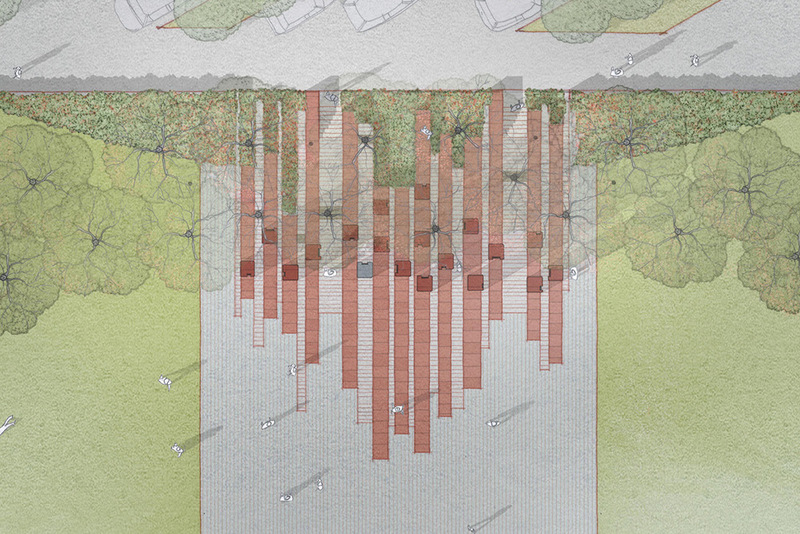 The design uses rough cut red stone to create fifteen columns and paving inlays to reference the Australian landscape, inlayed with panels of black granite to symbolise New Zealand. The black granite is engraved or carved with with Maori and Aboriginal artwork. 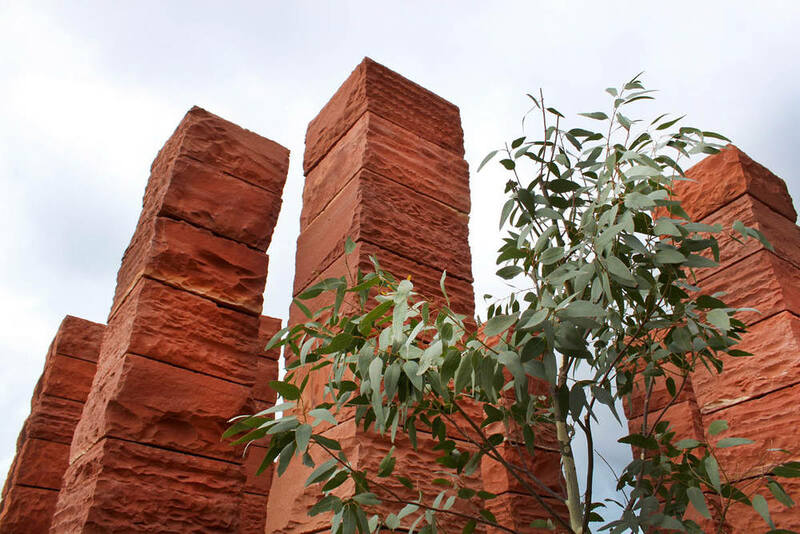 Flowering gum trees and mass planted bottlebrush continue the Australian landscape reference and will, in time, soften the memorial and provide shelter for the park's central plaza from Wellington's infamous northerly wind. To date, the project won an award for international architecture with the Australian Institute of Achitects in 2016.